Fluoroquinolones are a group of widely-used, broad-spectrum antibiotics prescribed to treat a variety of respiratory and urinary tract infections. Unfortunately, they have also been long associated with a large number of dangerous complications and adverse health effects. Most recently, fluoroquinolone antibiotics have been shown to greatly increase the risk of aortic aneurysm and aortic dissections – two serious medical conditions that can lead to permanent injuries and even death. If you or your family member have experienced aortic aneurysm, aortic dissections or another dangerous side effect after being prescribed a fluoroquinolone-based antibiotic, you may be eligible to file a lawsuit against the drug manufacturer and recover financial compensation for your injuries. Jason Stone Injury Lawyers are currently accepting new cases related to aortic aneurysm and aortic dissection that might have been caused be fluoroquinolones use. On this page, you will find the most recent developments concerning the controversy surrounding fluoroquinolone antibiotics and resulting lawsuits. If you have any questions related to your personal fluoroquinolone experience, Jason Stone Injury Lawyers offers a free legal consultation where a skilled attorney will review the details of your case and advise with regards to the legal options available for you. What Antibiotics Are Being Mentioned in Aortic Aneurysm & Aortic Dissection Lawsuits? 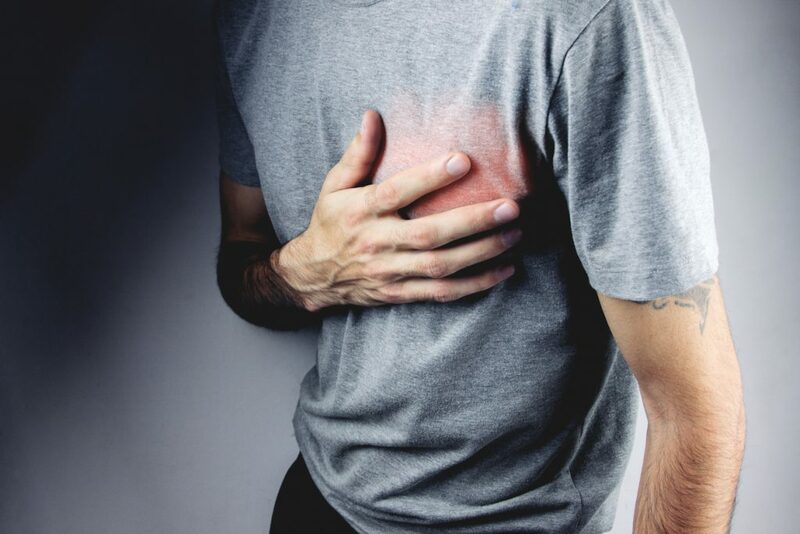 You may be eligible to file a lawsuit and claim financial compensation for your injuries if you have been prescribed one of the drugs mentioned above and, within one year of its use, suffered an aortic aneurysm or aortic dissection. If your family member died as a result of aortic aneurysm and dissection after they were administered one of the above-mentioned fluoroquinolone-based antibiotics, you may also be able to file a wrongful death claim on their behalf. What Can the Compensation Include? In some cases, if a manufacturer is shown to have exercised irresponsible and reckless behavior, knowingly exposing patients to serious health risks, the jury may also award punitive damages in order to punish the company and deter it from future wrongdoing. What Are Fluoroquinolone Antibiotics Used For? Fluoroquinolones are a family of broad-spectrum antibiotics which means they can be used to treat a wide range of diseases caused by bacteria. They used to be frequently administered to patients with conditions as diverse as sinusitis, bronchitis, urinary tract infections, skin infections, inflammation of the prostate, gonorrhea and other common bacterial infections. Doctors prescribed these antibiotics due to their high effectiveness in killing bacteria causing the conditions mentioned above. While some fluoroquinolone-based antibiotics are safe and seem to cause no side effects, others have been shown to entail risks of serious and permanent health damage. For that reason, FDA decided to issue special safety warnings concerning dangerous side effects of certain fluoroquinolones as well as guidelines for healthcare providers advising to restrict their use only to cases where other antibiotics can’t be used. The Food and Drug Administration (FDA) originally approved fluoroquinolone-based antibiotics in 1978. While no evidence of dangerous side effects was available at that time, over the years, fluoroquinolones were observed to cause a wide range of harmful repercussions in patients. In 2008, after more than 300 cases of tendinitis and tendon rupture were linked to fluoroquinolones use, the FDA issued the first warning> for healthcare professionals about the risk along with a black box warning which is the strictest warning the FDA can put on the labeling of prescription drugs. Similar warnings were issued by the agency in 2011 and 2013 in relation to a new set of dangerous side effects such as aggravating the symptoms in patients with myasthenia gravis and the risk of irreversible serious nerve damages. In 2015, the FDA concluded that potential risks linked to fluoroquinolone-based antibiotics outweigh the benefits and a year later>, the agency advised that they should only be used if there are no alternative treatment options. More recently, on 20 December 2018, the FDA issued yet another warning related to fluoroquinolones, stating that a new round of research found that fluoroquinolone antibiotics can increase the risk of ruptures or tears in the aorta which is the main artery of the body. Such tears are called aortic dissections and they can lead to dangerous internal bleeding or even death. The new round of lawsuits against the manufacturers of fluoroquinolone antibiotics is related to these previously unknown safety concerns. How Are Fluoroquinolone Antibiotics Related to Aortic Aneurysm & Aortic Dissection? In time, the weakened aorta wall can tear or rupture along the bulge resulting in a condition is called aortic dissection. Aortic dissection can lead to massive hemorrhage, or internal bleeding, resulting in permanent injury or even death. If you or a family member suffered an aortic aneurysm and aortic dissection that can be attributed to fluoroquinolone-based antibiotics, Jason Stone Injury Lawyers would like to hear from you. We have ample experience in representing victims of dangerous drugs and we boast a proven record of won cases and best results for our clients. After a free, initial consultation, one of our highly-skilled attorneys will work with you closely in order to secure fair and just compensation for you that will cover all your injuries and losses. Jason Stone Injury Lawyers works on a contingency fee basis which means that we only charge for our services if we manage to secure a successful result for our client. In other words, we only get paid when you do – either as a result of a settlement or a jury verdict. In addition, there are no upfront costs or hidden fees. Do not hesitate to contact us today and schedule a free consultation with one of our lawyers.